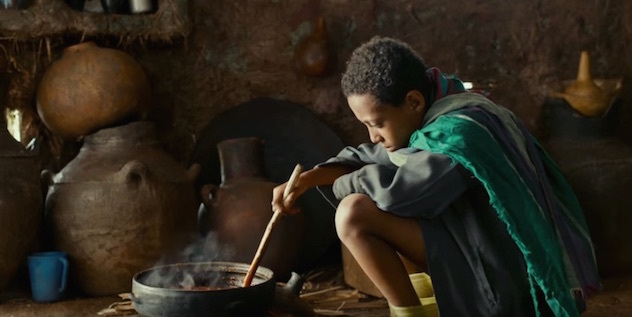 New York (TADIAS) — Following the premiere of the first Ethiopian film, Lamb, at this year’s Festival de Cannes, Director Yared Zeleke recently screened his feature at Ethiopia’s National Theatre in Addis Ababa. 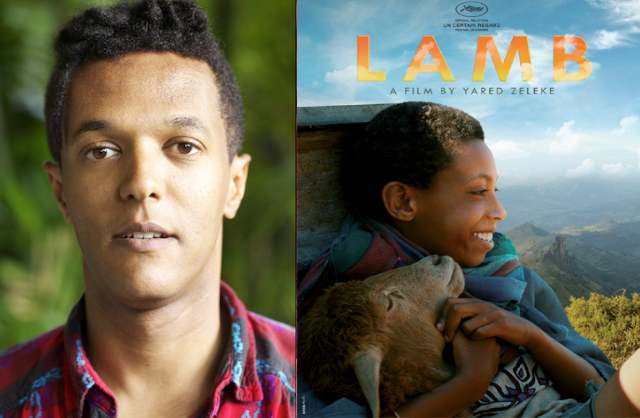 Lamb tells the story of an Ethiopian boy, Ephraïm, who bonds with a sheep as he is sent away from home following the death of his mother. Ephraïm soon learns that the sheep he befriended may have to be sacrificed for a feast and plots a way both to save the lamb and find his way home again. TADIAS: You mentioned having been raised by your grandmother and reminisce about her coffee ceremony and storytelling skills. How did the communal experience of narrating stories over Ethiopian coffee influence your own storytelling passion? YZ: My grandmother, Tafesech Zeleke, raised me in Mesalemia, Addis Ababa with lots of love, good food and great stories. She was known in the neighborhood for her kindness as well as terets. I think had she lived and been educated in the U.S., like I was, she would’ve been a filmmaker herself. And a great one! She was just gifted at capturing your imagination about places and people within and outside of Ager-bet (homeland). This left an indelible impression on me. TADIAS: Your prior short films including Housewarming — highlighting the experience of an Ethiopian refugee in New York City — explore the challenges of migration and identity formation. You’ve also shared that Lamb “is a semi-autobiographical drama,” which ties to your own “personal and inescapably political” journey. How has making films helped you to navigate these themes? How do you feel now that you live back in Addis? YZ: For me, it’s not only about cinematic art but your point of view as a citizen of the modern world. I am a “cultural omnivore” of Ethiopian origin who tries to make sense of this vast, complicated world through the work I do. Film is a powerful medium to get your point across and/or engage in a dialogue with a wider audience. I chose to make Lamb my first feature, for both personal and political reasons. Although the story is close to me, I was aware that one of its core themes being loss — especially during childhood — is something many souls can relate to. The connection that people (from all walks of life) have had so far with first the script and now the film is a testament to my dream realized. In the perceptions of many Westerners, Ethiopia has become synonymous with famine. This story, on the other hand, shows a boy obsessed with cooking. This is because, along with the problems of population pressure and changing climate, the country continues its ancient and rich culinary culture. As another example, Ethiopia is perceived to be a desert. Having shot parts of the film in the world’s only Afro-alpine forest (in the Bale Mountain region), the audience is in for a surprise as most of the mountainous country is far from being a desert. The art of cinema should take and engage an audience into the unexpected, be it geographic or psychic. I hope to continue making films that are more about connections rather than clichés, while revealing rarely seen worlds and faces in the global cinema. TADIAS: Prior to obtaining an MFA at New York University’s Tisch School of the Arts you had embarked on studying farming/agriculture in Norway. Can you tell us more about your original interest in farming? YZ: That is a good question. Prior to pursuing film I was a young idealist who wanted to give back to my country of origin by working on an issue that is paramount to Ethiopia — farming. As what it means to be an Ethiopian to this day is, for the most part, a farmer, I wanted to work with agriculture in order to help the country ensure food security as well as sustainable farming practices to help develop its economy. I was very passionate about this, and after receiving my Bachelor’s degree in International Development with a focus on natural resource management in Sub-Saharan Africa at Clark University in Massachusetts, I went to get a Master’s at the Agricultural University of Norway. Deep down, however, I wasn’t happy with my studies and wished to do something else — to tell a story. One day I thought to myself if Ethiopia was as prosperous, peaceful and progressive as Norway what would I do with my life? And it became clear to me that film was my calling as a medium to share our stories with the world. TADIAS: Who were your primary role models when you shifted your career from agriculture to film directing? Which individuals inspire you in your craft? YZ: I am not only inspired by film directors (Robert Bresson, Stephen Frears, or Shekhar Kapur), but by writers (Tolstoy), musicians (Muluken Melesse) and political activists (Mandela) as well. TADIAS: What are the joys and challenges of participating in the film industry in Ethiopia? YZ: The joys of filmmaking in Ethiopia are primarily that the country remains untouched culturally and untapped in potential talents. There are so many stories to be told in the country. And there are growing opportunities. Like any film, each and every process was just an absolute challenge in every way. But the most difficult for me was the Ethiopian bureaucracy. One can control most factors of filmmaking, more or less, but a bureaucracy is beyond me. The ultimate threat being that your project is in a constant state of danger from being shut down over the smallest issue. The authorities did however allow us to make the film. We also obtained sponsorship from Ethiopian Airlines, which is government owned. The airline moreover provided an enormous amount of logistical support with the transportation of both crew and, especially, equipment to and within the country. Without this help, we certainly would not have been able to make the film on time. What I learned from the experience can be summarized by one of the traditional female names in Amharic as well as the title of my first documentary project— “Tigist Means Patience”. 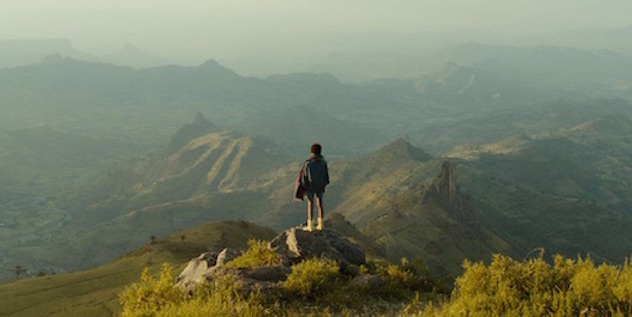 To make a meaningful film in a place like Ethiopia, you will need an enormous amount of patience and time. Be prepared to invest years of your life there. Be prepared for a lot of explaining. Be prepared for a lot of suspicion. Both the government and people are sensitive about their image, and rightly so, after decades of bad publicity, which has been primarily about political upheavals, war and famine with nothing being told about the positive aspects of the country. I also discovered many new things. It is a very interesting transitional period right now as the nation fast forwards into the future, leaving its traumatic past behind. The economy is booming and the Diaspora who once risked everything to escape are coming back to rebuild. There is an awakening taking place there, as in the rest of the continent. This homecoming is the time for Africans to redefine who we are for the world and, especially, us. Re-appropriating our memory and what it means to be a citizen. Being a filmmaker at this point in Ethiopia’s (3,000 year) history is, therefore, extremely important. The entire process of making LAMB was made within the conditions of a country trying desperately to pull out of poverty and transcend into something new. I am, of course, very proud to be part of that wave of change. TADIAS: You recently successfully premiered Lamb in Ethiopia. What was the audience reaction? How did it feel to bring your journey back home? YZ: At the world premier of Lamb in Ethiopia at the National Theater, about half of the audience were international while the other half were Habeshas. I was pleasantly surprised to learn that there was virtually no difference in the response and reaction to the film between both audiences. Ethiopians who approached me after the screening were just as appreciative and positive about the film as “Ferenges” have been around the world. And as an Ethiopian, the reaction of my people is much more significant to me. So it meant a lot that they were so encouraging.